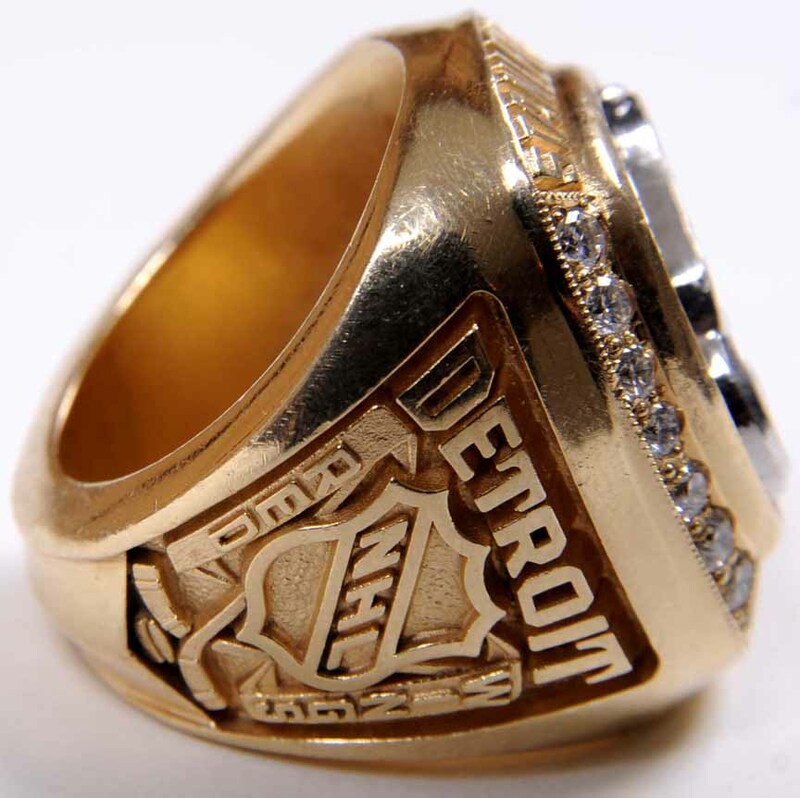 This exquisite diamond and gold ring commemorates the Red Wings first Stanley Cup Championship since 1955. After a 42-year wait, Hockey Town finally saw its Stanley Cup Championship, the first in the Steve Yzerman era. After a 94 point regular season, significantly less than the 131 point regular season in 1995-96, the Wings hit full stride as playoff time approached. The Wings beat the Blues in six, swept the Mighty Ducks in four and beat the defending Stanley Cup Champion Avalanche in six to reach the Finals against the Eric Lindros led Philadelphia Flyers. The Wings took games 1 and 2 in Philadelphia with identical 4-2 victories. Then, back at the “Joe” a 6-1 victory in game 3 took them to the brink of the Championship. The 2-1 victory in game 4 gave the Red Wings the elusive Championship for which they had been yearning. As Steve Yzerman skated with the cup, no one could know that this would be the first of 3 Championships in a 6-year period. This is the exact ring that was presented to John Wharton, the team's head athletic trainer. 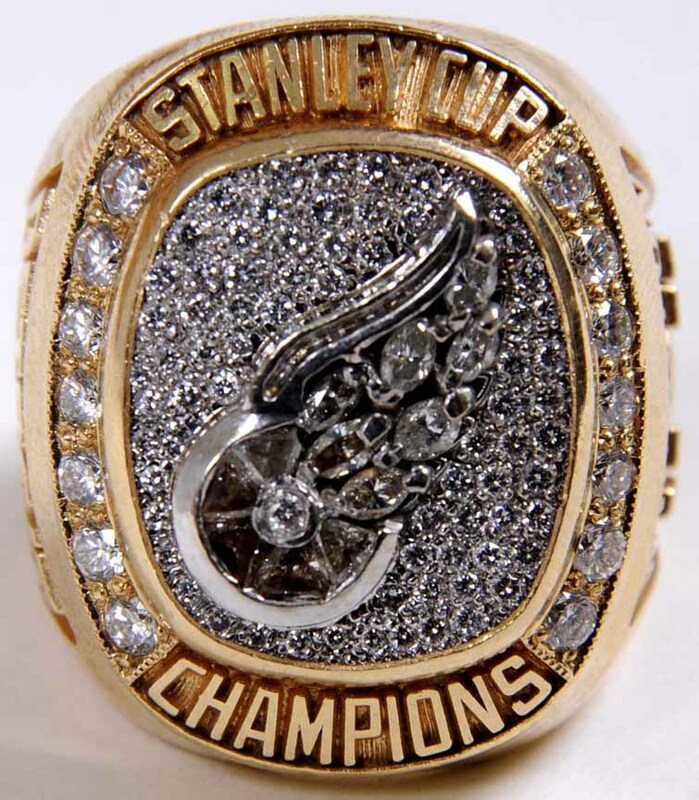 The face features real diamonds in the Red Wings logo that is set into a sea of smaller real diamonds, with strips of seven real diamonds at each side. 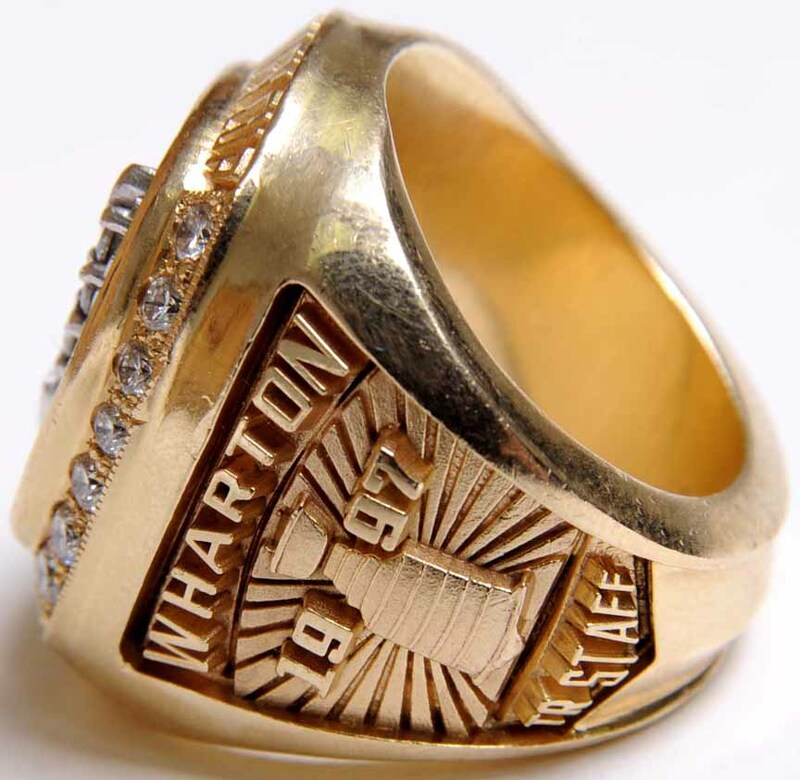 One shank reads "Wharton", an image of the Stanley Cup and "TR STAFF". The other shank reads “Detroit”, crossed hockey sticks and the NHL logo and the team name “Red Wings” surrounding the NHL logo. 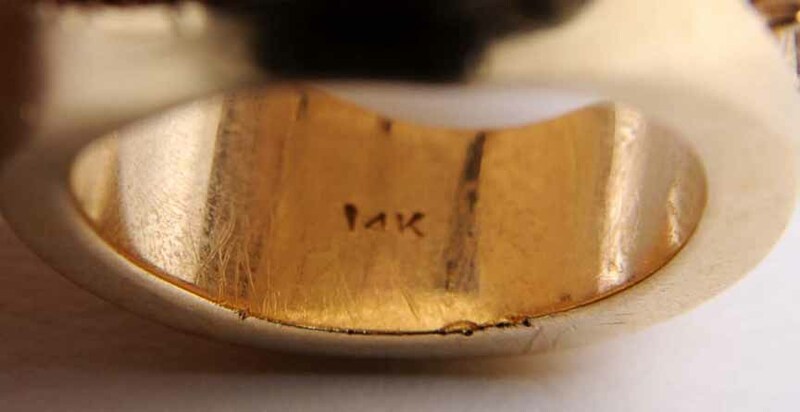 Stamped to the inside is “14K”. The ring is a size 8 ½ and weighs approx. 60 grams. The ring has light wear and is still in beautiful condition. An incredible opportunity to own a “real” piece of the Red Wings first Stanley Cup Championship in 42 years.